I make dances and performance, as well as perform, teach and write. I’m from NY. My recent companion works, inging and To Being, are based on my practice and choreographic methodology I started to develop back in 2009 called “nonstopping.” Research for a new work is being developed through several residencies, including MRX in Seoul and the Rauschenberg Residency. Jeanine Durning is a dance artist based in Brooklyn, NY but travels nationally and internationally for work. She performs, choreographs, teaches, advises, moves, talks, writes and anything else it takes to maintain and sustain an ongoing relationship to the possibilities of dance. She has worked with Deborah Hay, Susan Rethorst, David Dorfman, Lance Gries, Chris Yon, among many other choreographers. Jeanine's performance inging has been invited to theaters, studios, museums, galleries and rooms in Berlin, Amsterdam, Leuven/Belgium (Playground Festival/Museum M), Chambersburg/PA, Minneapolis/MN and NYC (American Realness Festival), with forthcoming performances in 2014 in Toronto (Toronto Dance Theatre), Milwaukee (Alverno Presents), and Willamstown (Williams College). 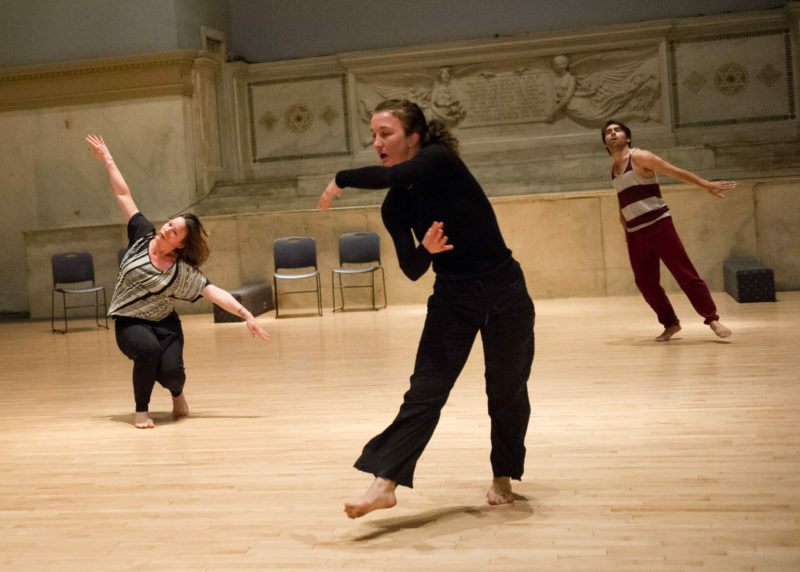 Jeanine Durning teaches a composition workshop January 13-17 as part of Movement Research Winter MELT 2014.